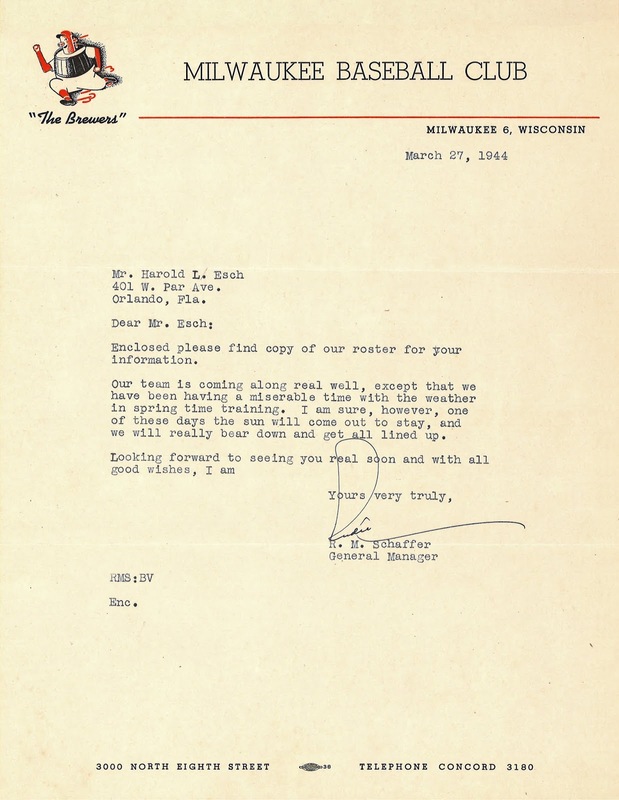 This beautiful exemplar of Milwaukee Brewers letterhead was sent to a fan in Florida exactly seventy-five years ago, on March 27, 1944. Enclosed please find copy of our roster for your information. Our team is coming along real well, except that we have been having a miserable time with the weather in spring time training. I am sure, however, one of these days the sun will come out to stay, and we will really bear down and get all lined up. If it looks familiar, it should. 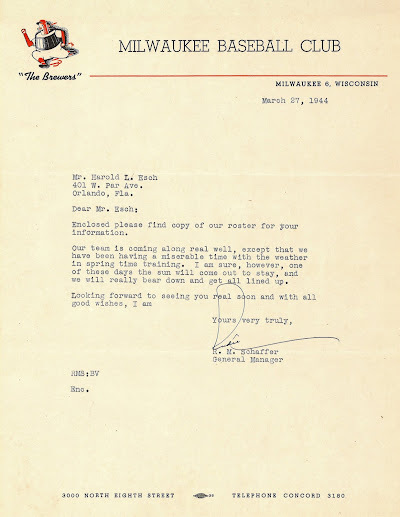 Nearly six years ago, we took a look at another example of this letterhead, also from 1944. There's so much to like about it; the Owgust figure in the upper left, the formal name "Milwaukee Baseball Club" across the top and a jaunty "The Brewers" beneath Owgust's feet. 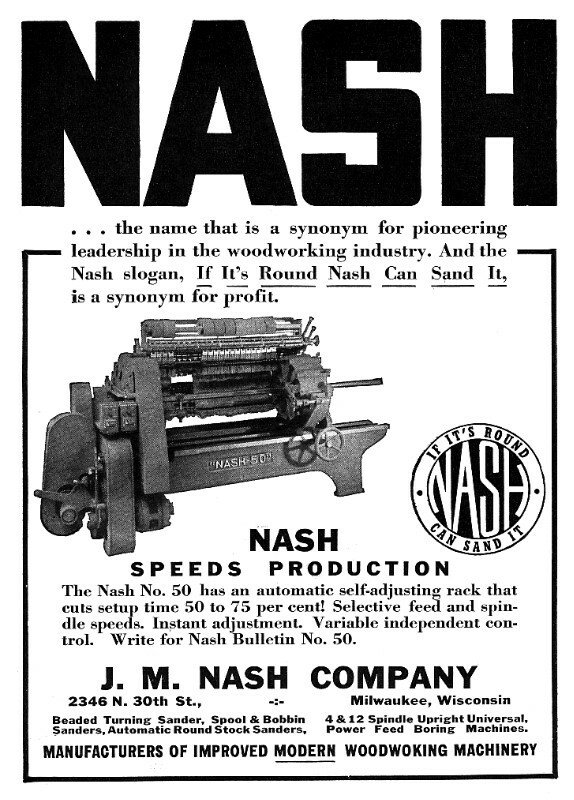 Not to mention the old-fashioned addresses: "MILWAUKEE 6" and "TELEPHONE CONCORD 3180", as exotic and foreign to our eyes as a web address would have appeared to Mr. R. M.Schaffer. That is, of course, Brewers GM Rudie Schaffer. A public accountant by trade, he started doing the Brewers' books as a consultant before being hired full-time in 1935. After Bill Veeck bought the team in 1941, Veeck recognized talent in Schaffer and promoted him to GM just months after taking over the team. That led to a lifelong association with Sport Shirt Bill, as Schaffer left the Brews in 1946 to work for Veeck with the Cleveland Indians. He later followed Veeck to the St Louis Browns in 1951 and Chicago White Sox in 1975. During a period when Veeck did not own a team, Schaffer served as GM for the International League's Toronto Maple Leafs. The "BV" who typed Rudie's letter refers to Betty Voss. She would go on to be Assistant Secretary for the Brewers, even sometimes signing her own letters. The weather at Spring Training was "miserable" because for the second year in a row wartime travel restrictions had forced the Brews to relocate their training camp from Ocala, Florida to Waukesha. Anyone who has ever faced March and April in Wisconsin knows what Rudie was talking about; there's a reason they put a roof on Miller Park. The recipient of the letter is another notable figure. 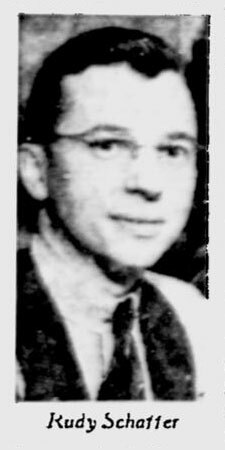 Harold L. Esch was born in Milwaukee in 1922 to a notable local family. His grandfather, Hiram F. Esch, served the city as Foreman for the First Ward and as a Deputy Sheriff in the early 1900s. Before that, Hiram had patented a "fifth wheel" for stabilizing wagons. 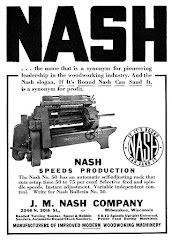 Harold's other grandfather, John M. Nash, was a businessman and inventor who developed wordworking machinery, which he sold under the company that bore his name. 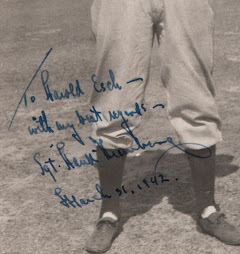 Harold carried on the family tradition of innovation as one of the pioneers of baseball collecting. 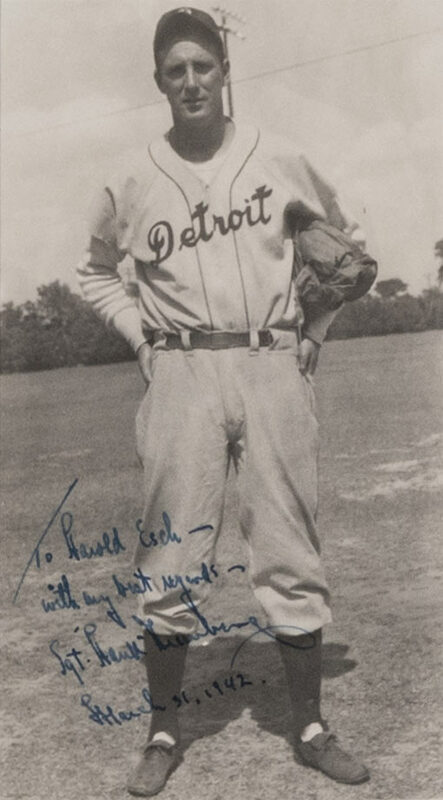 He started by collecting autographs at Borchert Field in the 1920s, and when he moved with his parents to Florida in the 30s he started haunting spring training sites. He was famous in the hobby for asking players to add a date to their signature, be it on a photo or a 3x5 card. Harold was a sportsman himself; he started lawn bowling as a boy in Milwaukee and continued after the move to Florida. 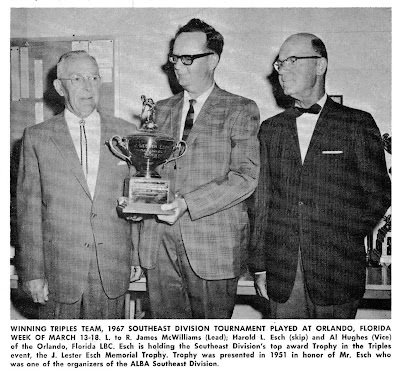 He went on to be named "1960's Bowler of the Decade" by the U.S. Lawn Bowling Association. He married the former Vivian Clark, herself a championship lawn bowler. Esch also served as President of the American Lawn Bowls Association, the manager of the US World Bowls Team, and upon his retirement was named Honorary Life President of the ALBA. For those accomplishments, Esch was a charter member of the USLBA Lawn Bowls Hall of Fame, where he was later joined by his wife. I wonder if they were ever asked to sign and date a 3x5 card? 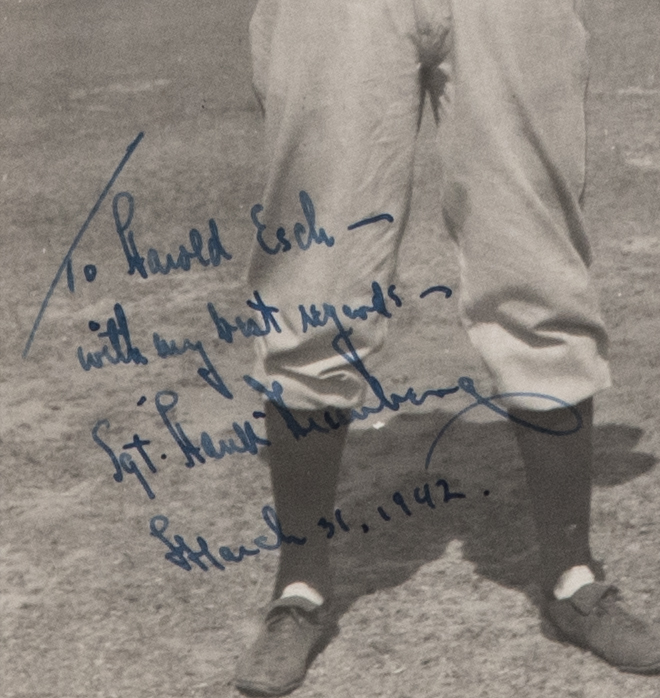 Harold died in 2010, and his carefully dated autographs have been dispersed throughout the hobby. The roster enclosed to him by Schaffer, sadly, has not survived with this letterhead.